Article written by Kayla Goeman. If you show up at a marketing event or trade fair and no one visits your booth, you probably won’t consider it a success. 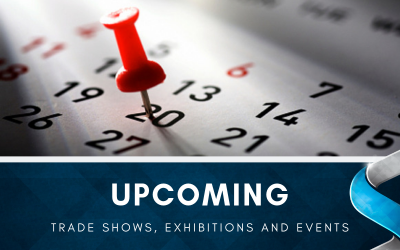 With so many platforms and companies fighting for attendees’ attention, it’s not enough just to show up; you should be promoting your trade fair presence early and often. How do you know which platforms and marketing channels are the best for your business? There are many factors that go into deciding how you should pre-promote your attendance at an event, including budget, staff resources, and time. Here are some of the most practical ways for you to promote your trade fair presence this year. With almost a billion daily active users who spend an average of 40 minutes on the site, Facebook is the first spot you should be promoting your event participation. The best place to start is a Facebook event, which can be started from a personal account or preferably a business page. Events posted through a business page have extra insights and perks, including the ability to boost or advertise the post, an option for users to be “interested” in the event, which shares it with their audience, and insights into the reach and demographic of your event. If the event you’re attending has a Facebook page, you can tag it in your description for even more exposure. You can share updates leading up to the event through the “wall” of your event, but keep in mind 581 million Facebook users are “mobile only”, so keep any updates mobile friendly, stay away from sharing large files or PDFs that may be difficult to open on a mobile device. This micro-text social media platform is one of the most prominent, as well as one of the best to connect with other vendors and visitors to your event before the doors open. Most events have an official or unofficial hashtag, or keyword, that connects anyone communicating about the event. By following the hashtag on Twitter, you will discover a brand new audience to follow and dialogue with. Share your own updates as well, including the hashtag in your message so it will be shared with the niche audience. Twitter is ideal for personally inviting participants to visit your booth the day of the event, which may set you apart from the masses, and lead to increased foot traffic from Twitter users, who will seek you out when they arrive. Known mostly in professional circles, LinkedIn is an often-overlooked tool for promoting your event. With LinkedIn, you can leverage your professional connections and your company’s business page to get the message out about your event presence. First, share a company status update to share the news with LinkedIn users who are part of your business page group. You can also pin this update to the top of your business page, encourage others to like and comment, and pay to sponsor, or advertise, to target followers. Individuals within your business can also share individual status updates about their role in the trade show, and target specific first-level connections with a direct message that will be delivered to the individual’s email account and LinkedIn inbox. LinkedIn is ideal for professional conferences or B2B trade events. Many marketing thought leaders are claiming live video will be the next big thing in social media marketing, and you can get ahead of the curve by promoting your trade fair presence or event on Periscope, a live video app that lets you broadcast to the masses. Periscope is available on Android and iPhone devices, and is simple to use: create an account; use hashtags, for instance, the event hashtag, and “go live”. Users who tune in to your broadcast share kudos by tapping their screen, which brings up tiny hearts of approval for all the viewers to see. Users can also chat during the live broadcast. Periscope provides the option to Tweet the live video link, or access for only 24 hours through the app. Periscope not only gives a behind-the-scene look at your business, but will put a face and voice to your company, which will help them connect more quickly when they visit your booth. There’s good reason e-mail marketing has been around for more than a quarter century: it works. Although there’s a fine line between informing enough and informing too much, a solid e-mail marketing plan can do wonders for your pre-event promotions. 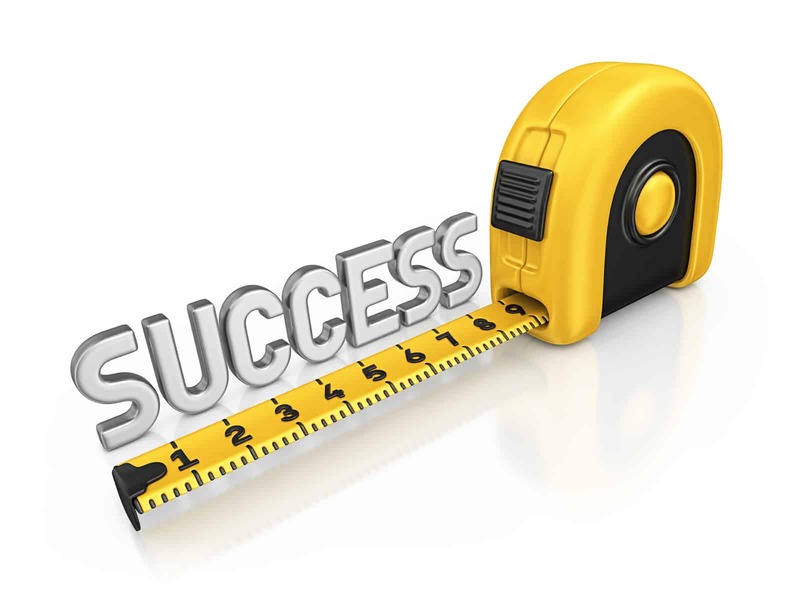 There are a few keys to success when it comes to e-mail marketing. Your e-blasts should provide added value or a value proposition, which is a short statement that explains why he or she should visit your booth. Your list should be highly targeted; e-mail marketing companies like MailChimp and Constant Contact give users both the option to target segments of an e-mail list according to conversations or past e-mail engagement, so you reach the most important people on your list. 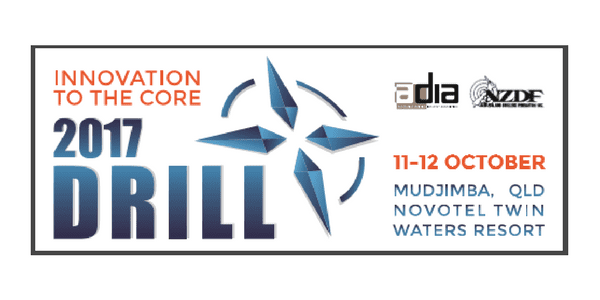 Finally, the e-mail marketing should give all the details of the event, such as booth location and time. Send out a few e-mails with similar information no less than a month before the event, and at least once a week until the event. This will help your business stay top-of-mind for the event attendees. Whether you choose to use Facebook, LinkedIn, Twitter, Periscope, an e-mail campaign or all five, online and social media promotion is an affordable way to market your presence at a trade fair or event, but has its limitations. For offline marketing, banner stands are one of the most versatile event pieces you can buy. Banner stands can help you fill the in-person void in your pre-event marketing in a few different ways. 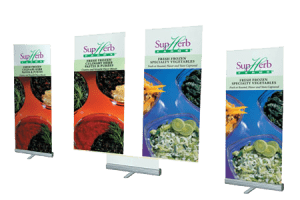 First, they provide versatility and portability; banner stands can be used on the floor of a retail store, in an office, or in the lobby of the event to direct attendees to your booth. Second, banner stands can be designed with bold, eye-catching graphics, which can be a powerful tool for promoting your event presence, much more so than graphics on a screen. Contact Skyline Displays Australia to discuss how we can help to your overall presence at your next Trade Fair or event. About the Author: Kayla is a Marketing Associate at Skyline Exhibits, based at Skyline’s International Design Centre in St. Paul, Minnesota. She graduated from the University of St. Thomas, is an avid runner and a 7 time All-American in Track & Field.